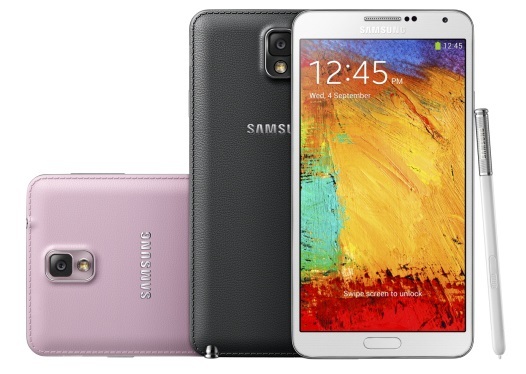 Samsung has launched the Galaxy Note 3 in India and its price is set at Rs. 49,900.it will available for retail by September 25. Note 3 is unveiled at Samsung event, IFA Berlin on 4 Sep 2013. Note 3 offering the larger screen of 5.7 inches full HD Super AMOLED display. The Galaxy Note 3 will come in two variants, the international variant sporting the Exynos Octa chipset and the USA variant sporting the Snapdragon 800 SoC with 3 GB RAM. Note 3 is comes in three variant of storage 16/32/ 64 GB. 13 Megapixels camera is used as rear camera with new CRI LED flash that should improve low-light photography and also have 2MP Front camera. Note 3 also comes with features like Multi-Window, Smart Stay, Smart scroll, smart rotate, S-Beam, Air View. The new S Pen comes with Note 3 with some advance features. Samsung called it Key to unlock the Note 3. S 4 has much new interface control. Note 3 have leather cover in back of body in 10 Different colors, and there is metallic rim running around the edge. And there is also a Samsung’s Knox mobile security feature to improve security. Hi, your website looks good but your ad placement is not matching. You can think of changing ad placement to get more revenue.